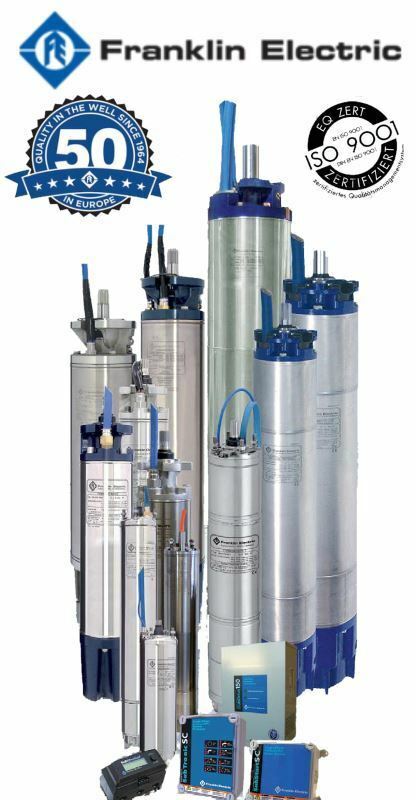 Built in ISO 9001/14001 certified facilities for outstanding performance in 4" or larger water wells. The single phase PSC motor has been electrically optimized to offer reliable pump starting over a wide range of incoming voltages. It should ideally be combined to the Franklin Electric SubStart/ SubTronicSC control boxes for maximum system performance, protection and warranty. Hermeticallysealedstator.Antitrack,selfhealingstatorresinpreventsmotorburnout, mechanically supports the winding and provides fast heatdissipation. For use in water that has more salinity than fresh water, but not as much as seawater. * PLEASE CHECK BELOW PRODUCT CATALOGUES TO IDENETIFY REQUIRED MOTOR MODEL AND CONTACT US TO GET A QUOTE.